Arsinoe I was Queen of Egypt by marriage to Ptolemy II Philadelphus. She was the second daughter and youngest child born to King Lysimachus and Nicaea of Macedon. She bore Ptolemy II three children; Ptolemy III, Lysimachus of Egypt and a daughter called Berenice. At an unknown date after 279, a sister of Ptolemy II called Arsinoe II arrived in Egypt. She was the last wife of Lysimachus and had fled from her half-brother-husband Ptolemy Keraunos. Charges of conspiring to assassinate Ptolemy II were soon brought against Arsinoe I. Ptolemy II exiled her, and married his sister Arsinoe II, who also formally adopted her nieces and nephews. Arsinoe spent the rest of her life in exile, in great splendour and exercising considerable power. 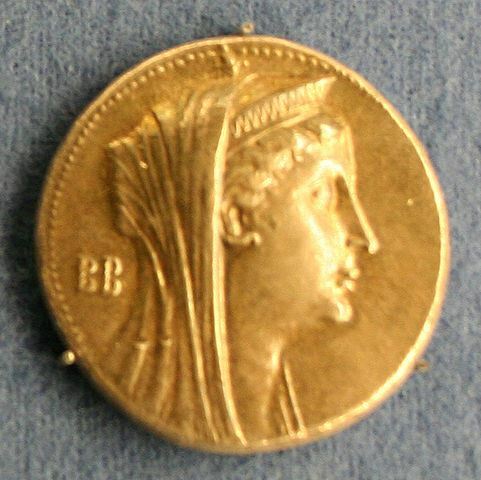 Her first son with Ptolemy II succeeded his father after his death.